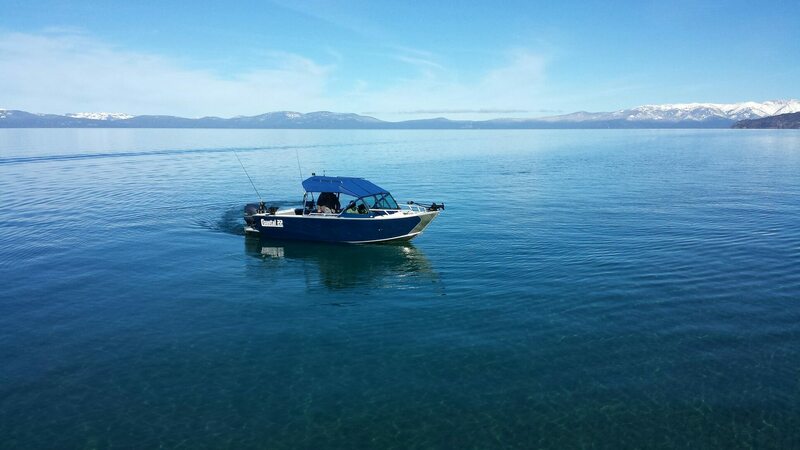 Come experience the unsurpassed beauty and unforgettable fishing that Lake Tahoe has to offer. Seat up to 6 on the Reel-Lentless custom boat built by Rogue Jet. Each charter contains hours of fun filled excitement while fishing America’s largest Alpine Lake. With years of experience, Captain Danny Salvador uses state of the art equipment and his relentless nature to put you on the fish. Danny has the flexibility and knowledge to provide each angler with their own ideal fishing experience whether it be jigging for Mackinaw Lake Trout, top-­lining for Rainbow Trout or trolling specialty lures for the elusive German Brown Trout. Bring your camera and capture the magnificent views and your catches of the day. Yes, Danny will send you off with your fish cleaned and bagged.